Below you fill find all funeral homes and cemeteries in or near Warren. Suburbs of Warren: Angus, Radium. Warren is also known as: Marshall County / Warren city. Zip codes in the city: 56762. Some of the notable people born here have been: (ervin j. rokke). It was noted by Waterloo/Cedar Falls Courier on March 14th, 2017 that Henry Morley Hanson died in Waverly, Iowa. Hanson was 92 years old and was born in Warren, MN. Send flowers to express your sympathy and honor Henry Morley's life. It was written on February 16th, 2017 that Myrtle H E Bina (Swanson) died in Macon, Georgia. Ms. Bina was 96 years old and was born in Warren, MN. Send flowers to express your sorrow and honor Myrtle H E's life. It was written by Sarasota Herald-Tribune on February 2nd, 2017 that Warren Gerald Olson perished in Nokomis, Florida. 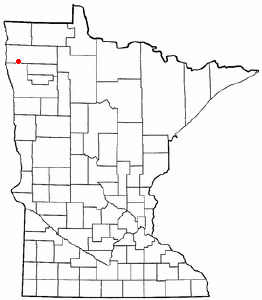 Olson was 92 years old and was born in Warren, MN. Send flowers to express your sorrow and honor Warren Gerald's life. It was noted by The Daily News on December 4th, 2016 that Marvin Keith Jenning died in Longview, Washington. Jenning was 83 years old and was born in Warren, MN. Send flowers to share your condolences and honor Marvin Keith's life. It was noted by The News Tribune on November 9th, 2016 that Joan Berg (Johnson) died in Federal Way, Washington. Ms. Berg was 95 years old and was born in Warren, MN. Send flowers to express your sympathy and honor Joan's life. It was reported by San Diego Union-Tribune on April 3rd, 2016 that Helen Louise Mickelson (Peterson) died in San Diego, California. Ms. Mickelson was 99 years old and was born in Warren, MN. Send flowers to share your condolences and honor Helen Louise's life. It was noted by Peoria Journal Star on September 17th, 2015 that Katherine Charlotte Kelly (McCartney) perished in Chillicothe, Illinois. Ms. Kelly was 85 years old and was born in Warren, MN. Send flowers to share your condolences and honor Katherine Charlotte's life. It was written on June 21st, 2015 that Paul E Meyer died in Warren, Minnesota. Meyer was 83 years old. Send flowers to express your sorrow and honor Paul E's life. It was disclosed on June 3rd, 2015 that Mildred Stroble passed on in Warren, Minnesota. Stroble was 97 years old. Send flowers to share your condolences and honor Mildred's life. It was reported on May 25th, 2015 that Oliver "O J" Peyton passed away in Warren, Minnesota. Send flowers to share your condolences and honor Oliver "O J"'s life. It was named for a ticket agent for the railroad who probably never set foot in Warren. Other interests prevailed, although the railroad line forms a parabola extending north from Thief River Falls, and then south to Warren, as if the plan changed while the line was being built. [http://maps.google.com/maps?q=Warren,+MN,+United+States+of+America&ie=UTF8&ll=48.263084,-96.622696&spn=0.203412,0.462799&z=11&om=1] In 1974, citizens of the eastern part of the county, noting Warren's location in the western quarter of the long county, and very nearly at its southern boundary, petitioned twice for the relocation of the county seat to Newfolden. Argyle interests hoped the establishment of a railroad junction there would lead to the removal of the county seat from Warren to Argyle. The coming of the Great Northern Railroad (now Burlington Northern Santa Fe) led to the establishment of a permanent settlement. Although several times larger than the next largest city in the county, Warren's prominence as the county seat has been threatened several times in its history. The official website for the city of Warren is http://www.warrenminnesota.com/. She was born in Birch Creek, MN to Joseph and Jeanne Peterman. She married William (Bill) Van Zee in Tacoma, WA, February 14, 1930. The couple moved to South Dakota where their three sons, Rolen, Warren and ... entrusted to Lewis Funeral Chapel. Find a Funeral Home inWarren, Minnesota MN to provide the caring burial and ceremonial services your family deserves. We work with local florists and flower shops to offer same day delivery. You will find budget sympathy flowers in Warren here. Our funeral flowers are cheap in price but not in value.